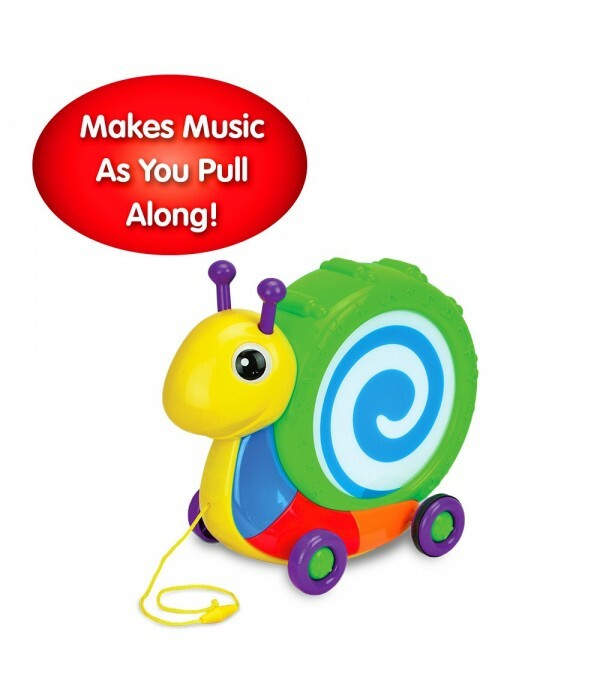 Your little one can beat out their own tunes on this fun Pull Along Snail Drum. 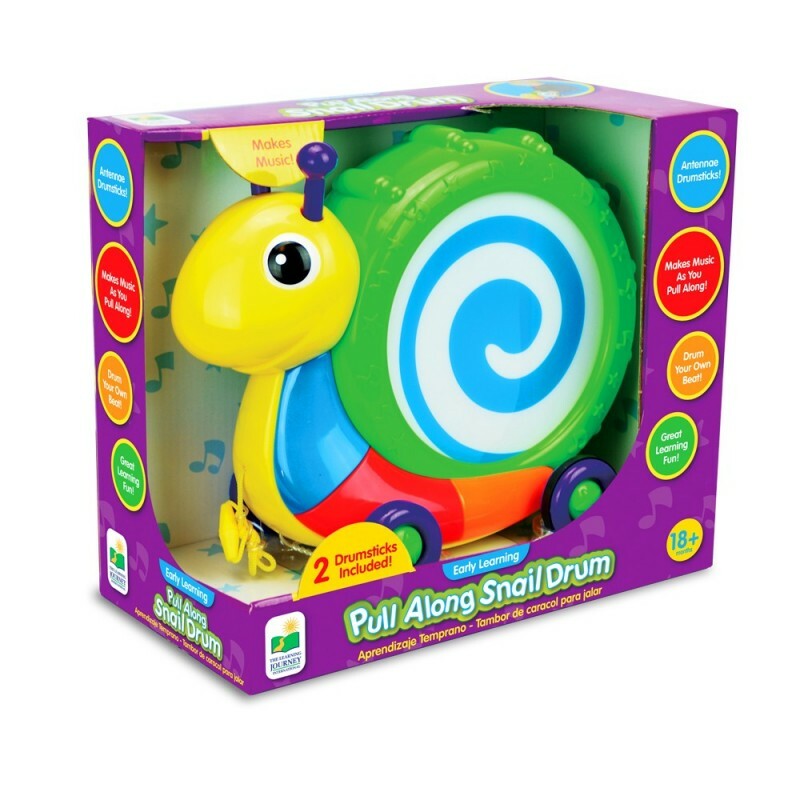 This colorful snail has two antennae drumsticks that will help your little musician create his own music. As an added feature as you pull him along, the Snail Drum also makes his own music by beating on the inside of the drum. The sturdy design with pull cord and four wheels will help your little one develop large motor skills and hand-eye coordination. 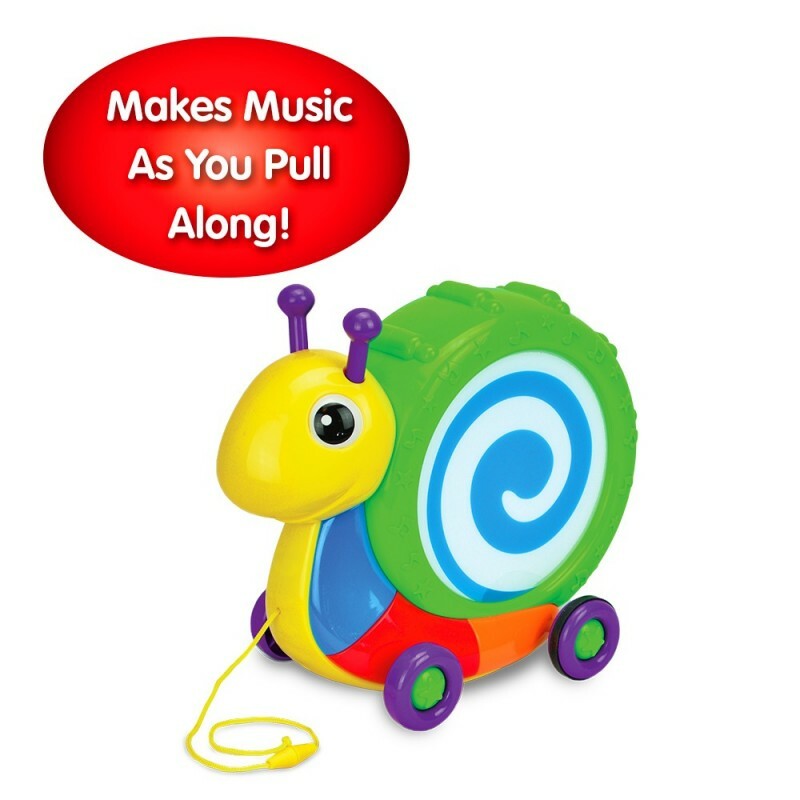 This cute little snail will surely bring a smile to your toddler’s face. Ages 12+ months.